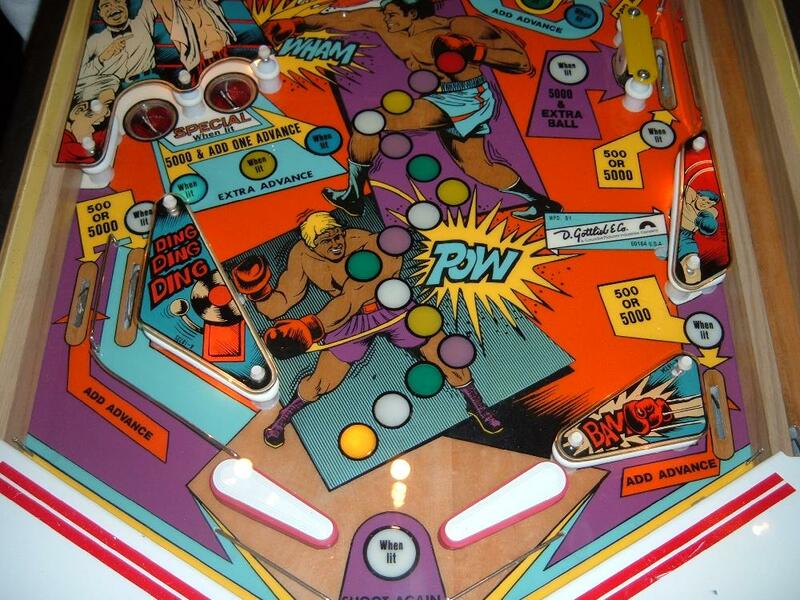 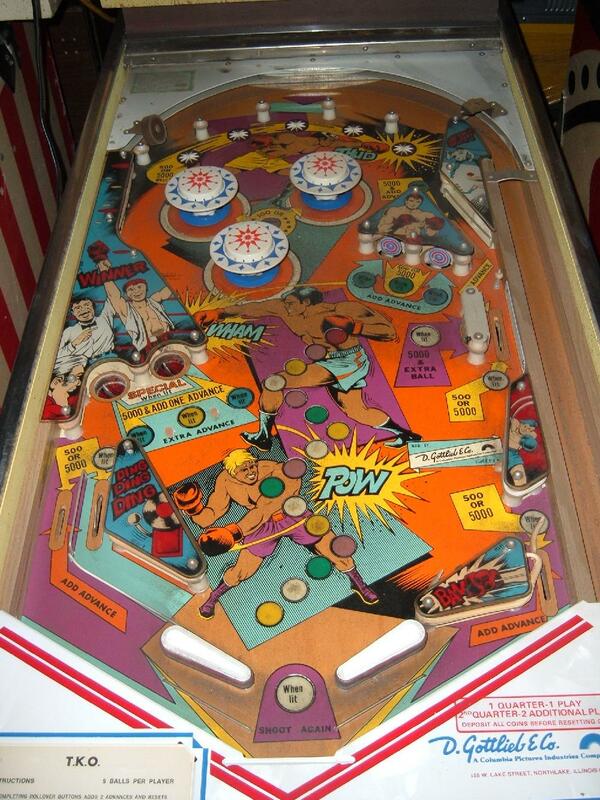 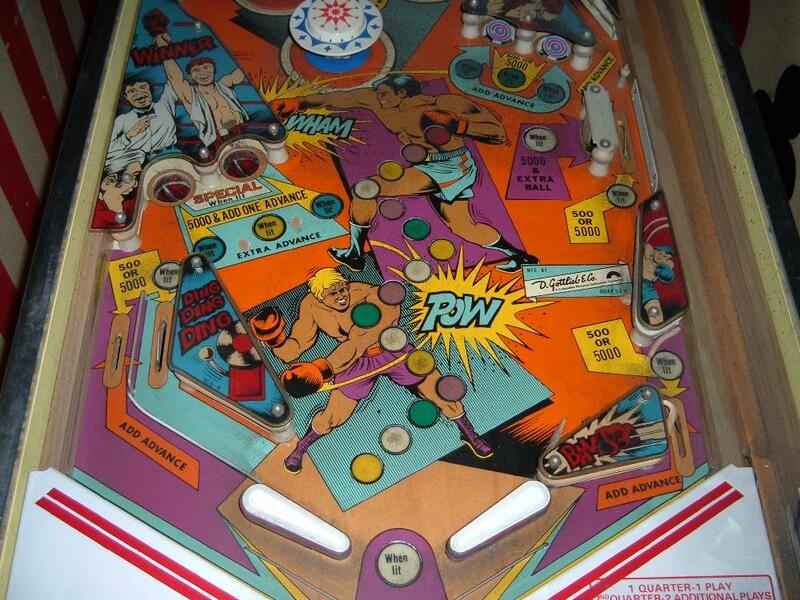 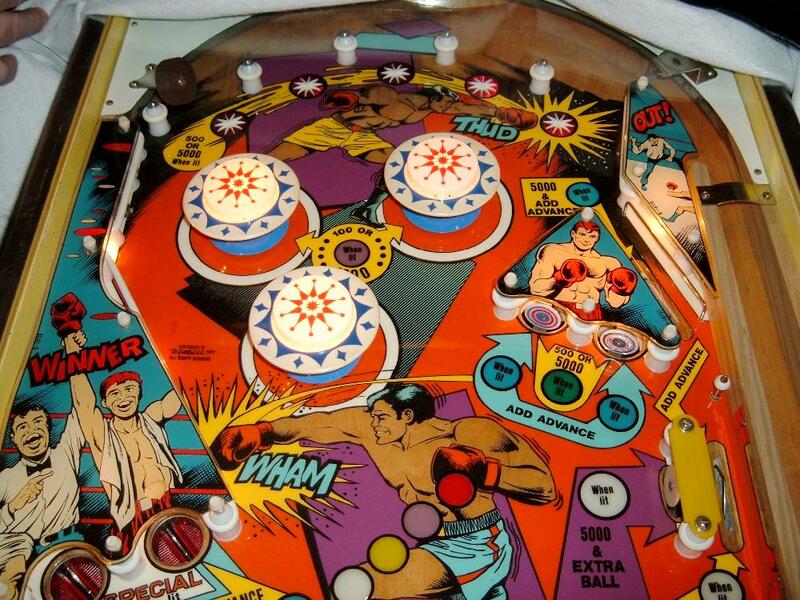 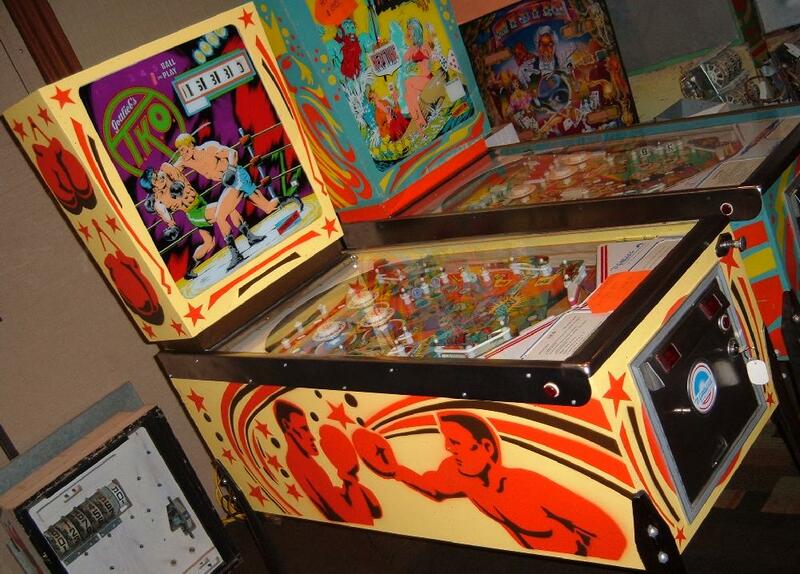 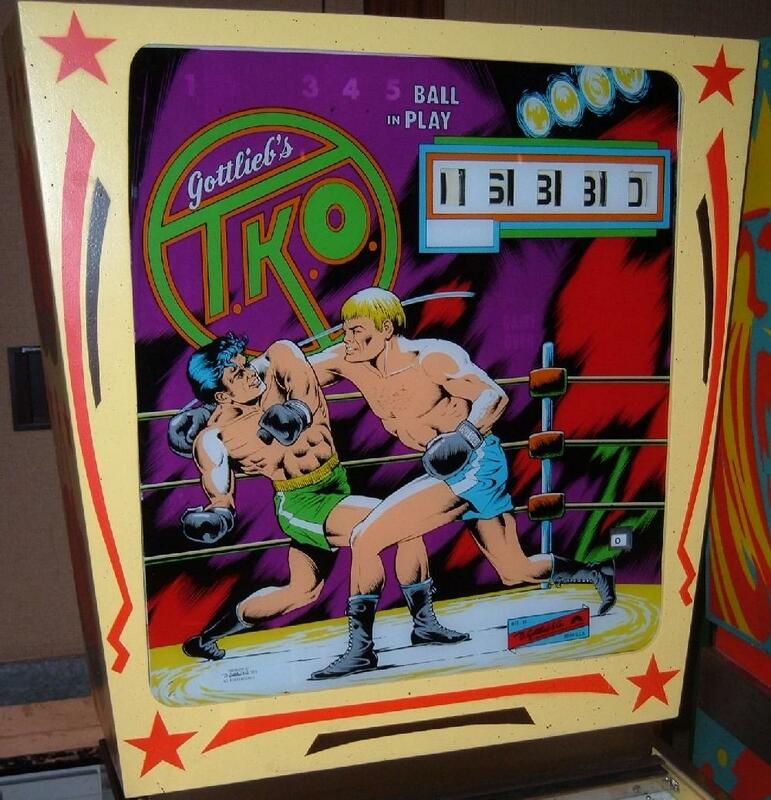 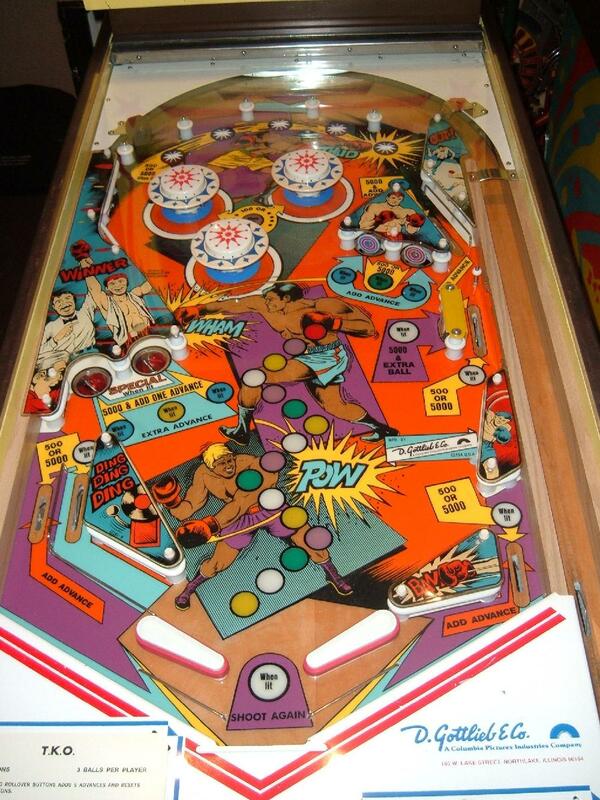 Description: Gottlieb TKO pinball. 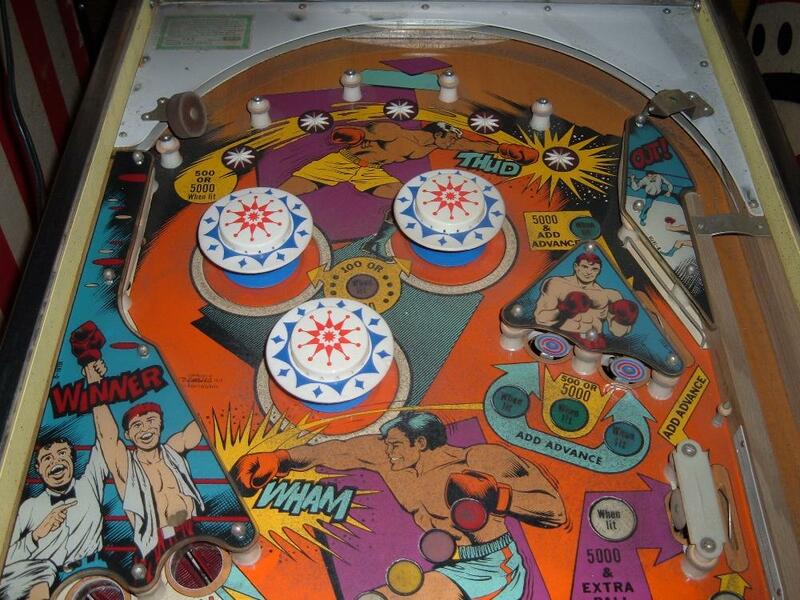 Three pop bumpers, two kickout holes, one slingshots, two 3" flippers. 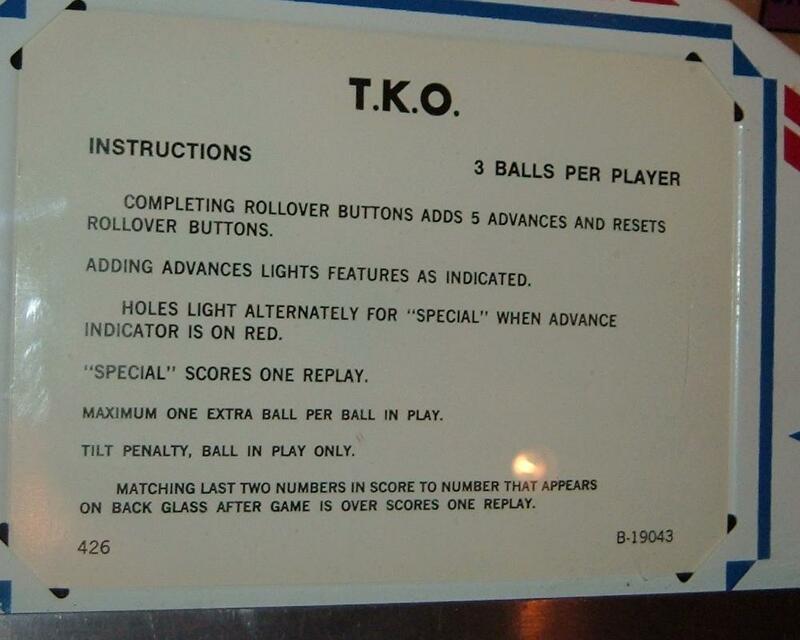 They made 125 plus another 100 exported Gottlieb TKO pinballs. 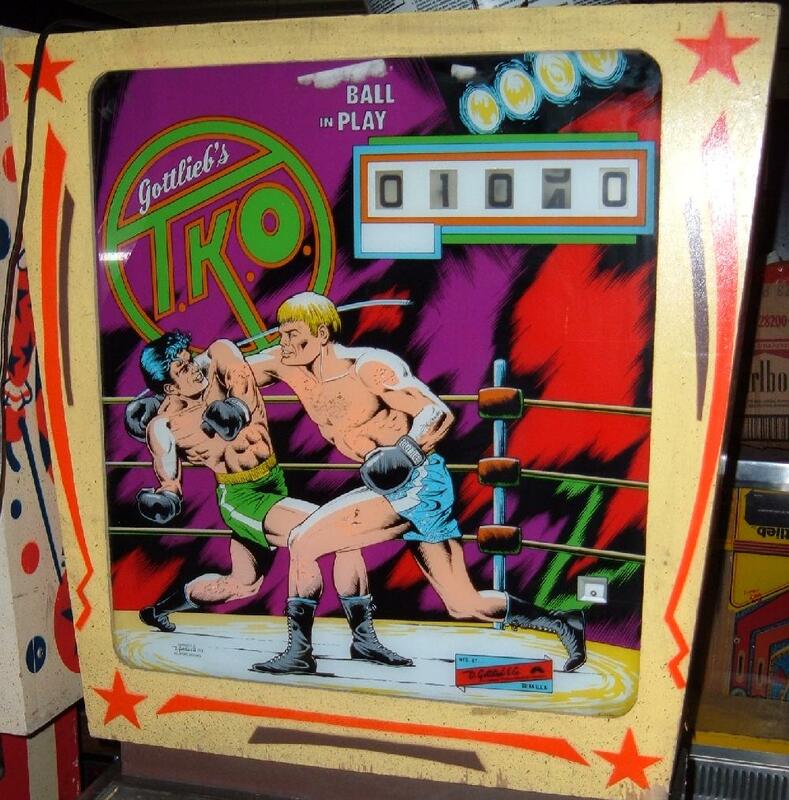 Gottlieb T.K.O. 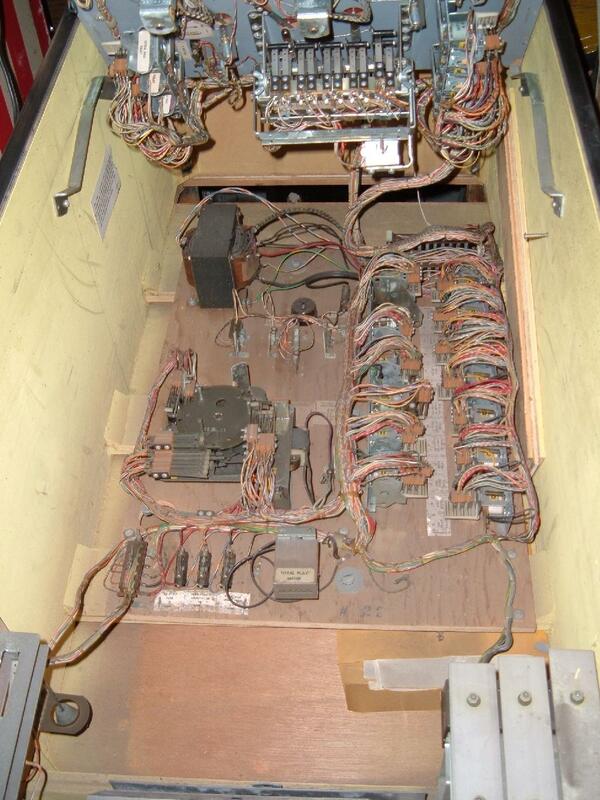 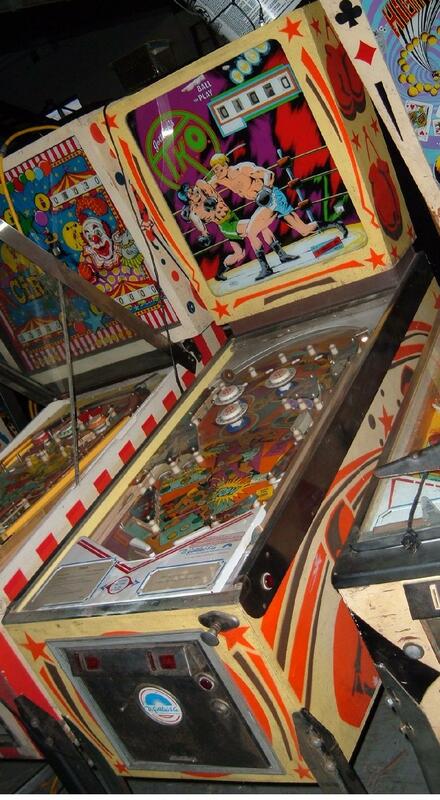 is the last single player EM wedgehead pinball made by Gottlieb.